What is a Victorian house without a proper family? Empty! But wait no more! 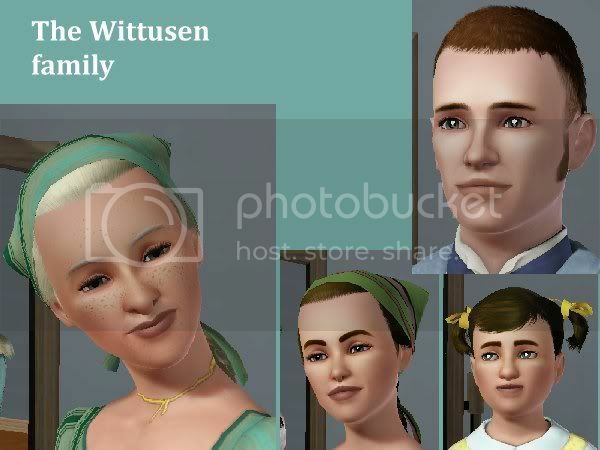 The Wittusen family would love to move in to your Victorian House Anno 1894, or any other appropriate home you would want to give them. 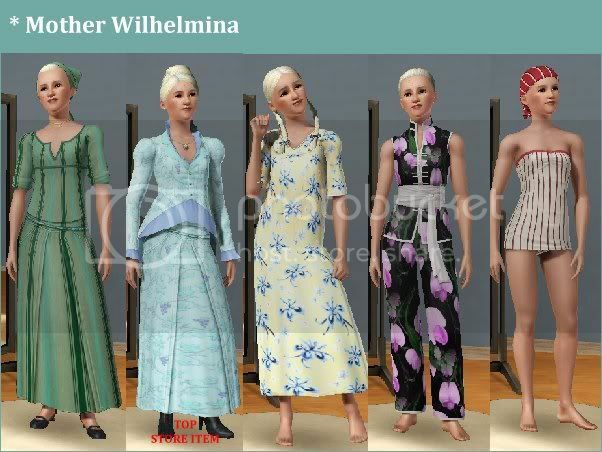 Wilhelmina's formalwear is from the Store. If you don't have it in your game you can still download without problems, but it will be replaced with a base game item. 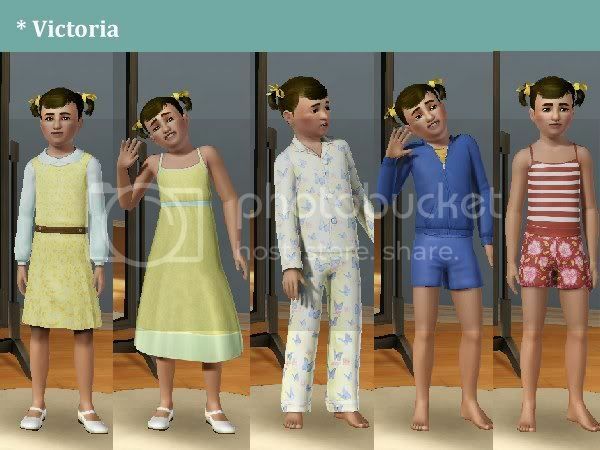 Her athletic outfit has a custom made pattern, see info below. It will be automatically installed in your game. 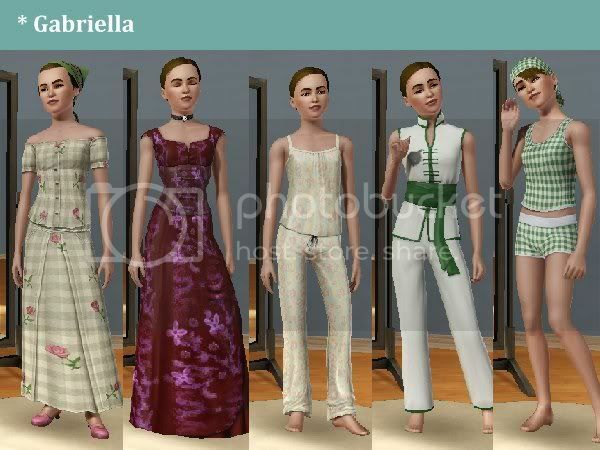 Gabriella's formal outfit has a custom made pattern, see info below. It will be automatically installed in your game. 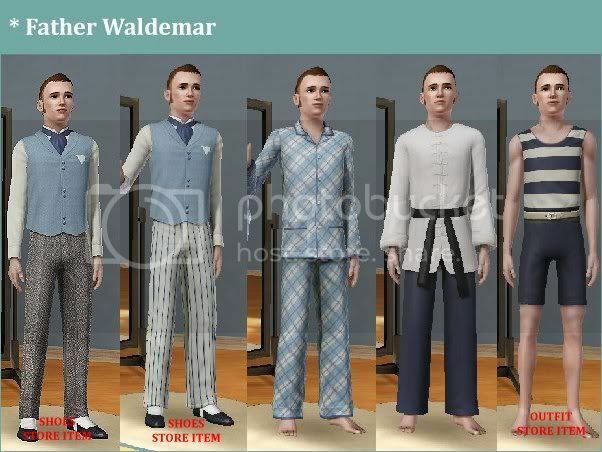 CC items: Thanks to the creators! John/Anno: Two patterns. The artist has retired and link is not available.